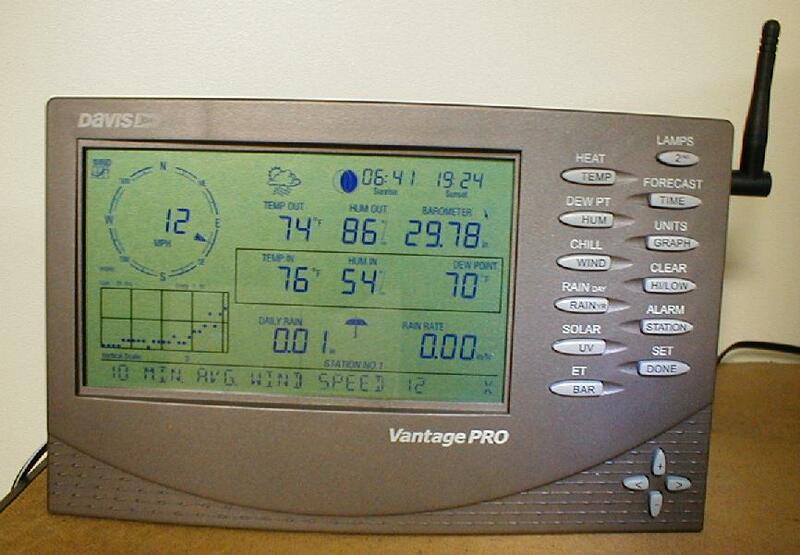 In July 2004 I purchased a Wireless Davis Vantage Pro weather station and have it connected to my computer. Data is being uploaded to the web. Since the station only came online in early July and was connected to the computer later in the month when logging started, yearly numbers for 2004 as well as for July are not complete. FDW Weather - Software to display weather station data on your computer.